This event is held at noon on the Saturday before Easter (March 30th). It is a great way to jump start your Easter weekend celebrations. 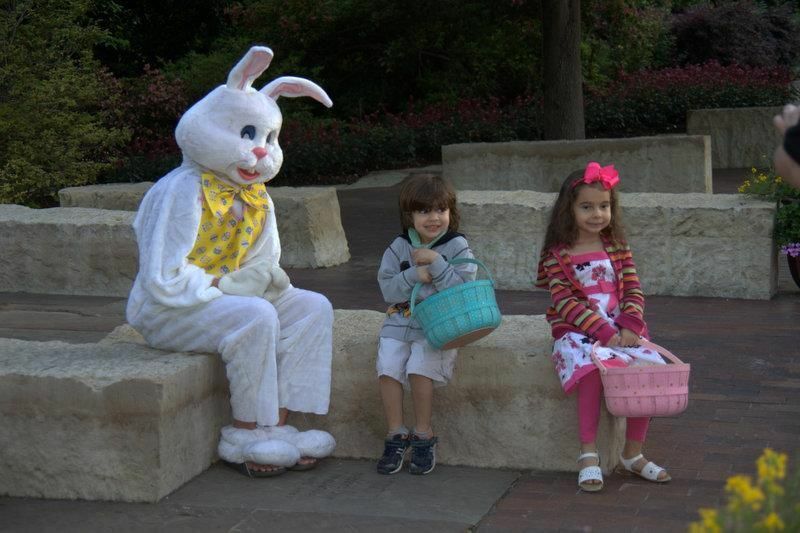 The event is free and will feature an Easter bunny, face painting and a balloon animal maker. 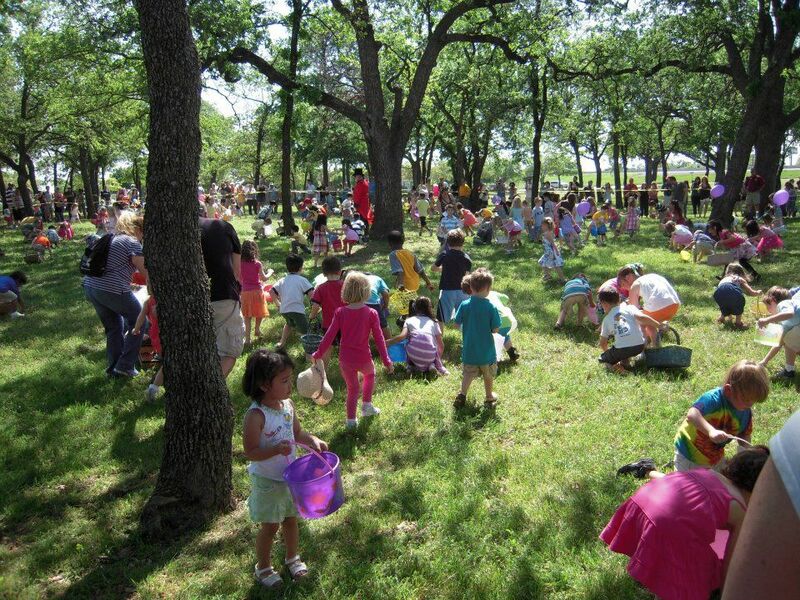 The very best part is a “Texas sized” easter egg hunt that is appropriate for all ages. 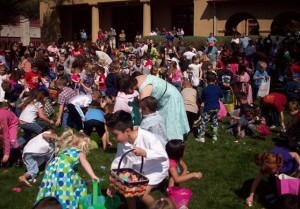 Immediately after the egg hunt they will host a Hunt for the Golden Horseshoe in the arena for ages 12 and up. A perfect option that is sure to please both parents and kids. This hunt actually happens on March 24th, the weekend before Easter. They will be hosting three separate age specific egg hunts along with games and prizes. Children will also be able to get their picture taken with Mr. and Mrs. Bunny, play in the bounce house, and touch all the animals in the petting zoo. The event starts at 2 pm and will run till approximately 5 pm. The best part? A wonderful excuse for the parents to go wine tasting as the tasting room will open as well. The Dallas Arboretum is in the midst of their Dallas Blooms festival. The weekend of easter they are hosting special events just for the holiday. On March 29th there is a Good Friday Childrens concert at 11am and 2pm. On Easter Sunday they will be hosting an Easter Brunch at 10:30 am and 12:30pm. Friday (29th) from 10am-2pm and Saturday (30th) and Sunday (31st) from 12pm-4pm there will be a host of childrens events including a petting zoo, face painting, and fun easter photos with a live bunny! The arboretum itself, gift store and on site restaurants will all be open as well. If you are a member of the Arboretum, there are Easter Egg hunts scheduled this coming weekend Friday & Sat. (22nd & 23rd). You must register in advance. Check the member calendar and call today to reserve your spot.